Cleveland Funeral Home announces the death of Mrs. Katie Lou Parson, age 81 of Cleveland, Georgia. 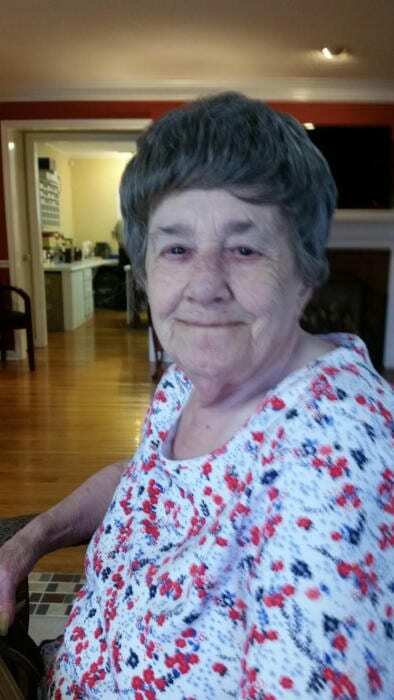 Mrs. Parson passed away on October 22, 2018 at Northeast Georgia Medical center. Katie was born on March 25, 1937 in Hall County, Georgia to the late Hammond Jones and the late Ida Armour. She moved to Cleveland from Gainesville around 30 years ago. Most people would remember her for her amazing biscuits she made every morning when she was employed by Mamas Kitchen in Helen. Although she will be remembered for her delicious cooking, those who knew her best will always remember her as the best Mother, Grandmother, and Aunt that anyone could ever imagine. She was preceded in death by both parents as well as her husband, Harold Parson. She is survived by her Sons; Henry Allen of Cleveland and Johnny Parson of Cleveland. Grandchildren; Amanda (Darren) Farmer of Dawsonville, Josh Allen of Habersham, Melinda Allen of Habersham, and Pervie Parson of Cleveland. Niece and Nephew Robert and Michelle Hamilton of Dahlonega. Great Nieces and Nephews; Cody (Brittany) Hamilton of Gainesville and Cynthia (AL) Raez, also of Gainesville. In addition, she leaves behind two brothers, two sisters, and 3 Great Grandchildren. A visitation will be held on Wednesday, October 24, 2018 from 6:00 PM – 8:00 PM. Funeral Services will be held in the Chapel of Cleveland Funeral Home on Thursday, October 25 at 2:00 PM with Rev. Wayne Turk officiating. The family will also receive friends and family from 10:00 AM until 2:00 PM on Thursday. Interment will follow in the cemetery of Calvary Cross Baptist Church.